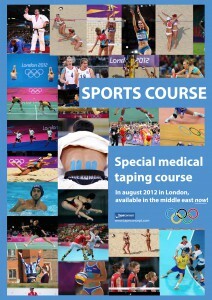 Sports Course in the Middle East! Posted on september 3rd, by TapeConcept in News. 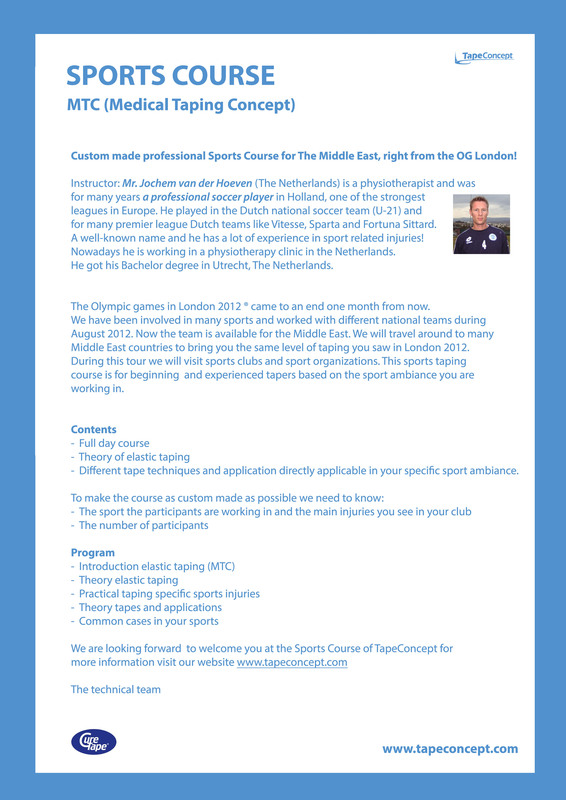 Reacties uitgeschakeld voor Sports Course in the Middle East! Last month TapeConcept was busy during the Olympic Games in London. 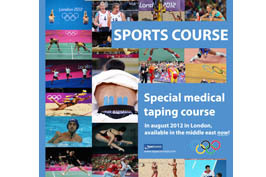 We have taped many athletes from many different countries and trained many physio’s of national teams. During the last 2 weeks of October we will travel in the Middle East and will give selective Sport Courses for a small group of people working in clubs and sport organizations. In most of the cases we will train a group of professionals within an individual club, but we will also train small individual groups. We still have room to include your group in the program during our trip which is planned from 18 OCT till 30 OCT 2012. Till so far there is interest from KSA, Jordan, Bahrain and Oman. Please let us know the club we need to visit or the place where the group will be trained. We are looking forward to meet you all. For more details, see our flyer.